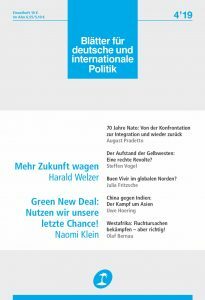 ‘Blätter’ answers the critics of Fridays for Future; ‘La Revue Nouvelle’ puts forward a trade unionism 2.1; ‘New Eastern Europe’ debates geopolitics after ’89; ‘Letras Libres’ asks what Europe has done for us; ‘Arche’ remembers the life and works of a forgotten Belarusian sculptor; ‘Ord&Bild’ gets into sci-fi; and Host explains why Czech literature in translation shouldn’t be ‘too Czech’. In Germany, the counter-reaction to the ‘Fridays for Future’ movement has turned into a broader campaign against environmentalism, writes Albrecht von Lucke in Blätter. According to libertarians in politics and media, ‘Fridays for Future’ and its figurehead, Greta Thunberg, epitomize the latent totalitarianism of environmental politics in general. This trope is all too familiar from the 1970s: if the slogan then was ‘freedom not socialism’, today it is ‘freedom not eco-dictatorship’. This is all about defending the interests of the German car industry: why else is the absence of speed limits on German motorways framed as the non plus ultra of individual liberty? Algeria: The anti-authoritarian determination of Algeria’s youth has thwarted their government’s attempt to take control of the appointment of Bouteflika’s successor. Cause for optimism, writes Claus Leggewie: unlike the anti-government revolt of 1991, this time the Islamists are not involved and women have protested equally alongside men. On the downside, no platform or leader has emerged within the Algerian opposition that could challenge the powers that be. Unless a peaceful solution is found, predicts Leggewie, the crisis could spill over into France, where Algerians took to the streets following Macron’s failure to speak out clearly against Bouteflika’s presidential candidacy. Neoliberalism: In Germany, neoliberalism is often understood as an Anglo-Saxon import that replaced the ‘Rhineland’ capitalism responsible for the economic miracle. Christoph Fleischmann takes issue with this idea, arguing that the ‘ordo-liberals’ associated with Germany’s ‘social market economy’ belonged to an international circle of neoliberal economists and were indebted to Hayek, Friedman et al. much more than is generally assumed. Two weekends ago, the Yellow Vests were back in force, causing havoc on the Champs Elysées. They burnt down Fouquet’s, a long-time symbol of French wealth. 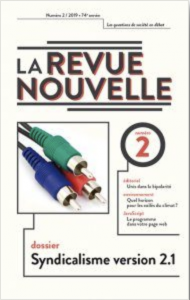 The ‘Gilets Jaunes’ are anti-elites, as Christophe Mincke and Baptiste Campion put it in their editorial to the latest issue of La Revue Nouvelle. The elite’s answer has been to show how politics is more complicated than just voting for something and then expecting it to be done. That has been the function of the Grand débat; but come election time, politicians again promise the moon: that the state will be able to step in and solve all their problems, precisely what the Yellow Vests are demanding. Is there a way to break out of this vicious cycle that only fuels the fire of popular revolt? Mincke and Campion think that longer-term work needs to be done, reconnecting the people to their leaders and having a ‘mature’ view of what is possible in politics. That is the role trade unions have traditionally played, and the issue has a dossier dedicated to ‘Syndicalism 2.1’. Economics: But what light can economics shed on the Yellow Vests? Away from the traditional view of disincorporated ‘economic man’ put forward from Adam Smith to Milton Friedman, Thierry Amougou draws on ‘heterodox’ economists Joseph Stiglitz, Thomas Piketty, Paul Krugman and Dani Rodrik to show that inequality and violence go hand-in-hand. Drawing on René Girard, Amougou explains man as being in need of recognition, now literally exchanged through money. But when money runs out, as with the Yellow Vests, the only answer is to violently force yourself back into society and project your frustrations onto a scapegoat: Macron. Trade unionism: The Yellow Vests have overtaken the trade unions as vehicles of protest, calling their legitimacy into question. 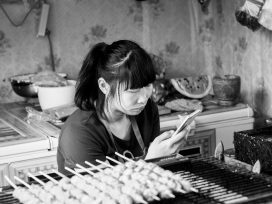 Can trade unions adapt to the new political configuration and the challenges of the ‘gig’ economy? Certainly, the legal framework is there, Martin Willems points out, but the question is applying it to ‘platforms’ like Deliveroo. Trade Unions need to recruit from the ground up, and their reinvention, argues Thomas Lemaigre, will be through regaining independence from the state: not carrying out its ‘dirty work’ of administering social services. Could workplace democracy be the answer? That’s what Isabelle Ferreras proposes, a ‘bicameral’ system on the model of the UK parliament: a ‘House of Lords’ for capital and ‘House of Commons’ for workers, with decisions needing approval of both. On the question of Russian cyber-war, Wilson asks an interesting question: why does it work better in some countries than in others? ‘In the US, you have a sort of disintermediated polity, particularly on the Republican side: a whole world of “astroturfing”, fake or proxy politics and covert political finance that Russia recognised and found it easy to operate in. Hence, the problem for America is structural. It is not just about social media. Back in Europe there are some countries which are more robust than others. I think robustness is the response that is needed.’ Wilson predicts that Russia will attempt to undermine the EU elections in individual countries – not just by supporting the far-right and far-left, but also by ‘spreading doubt about the legitimacy and functionality of democracy in Europe’. Ukraine: The absence of distinctive ideologies among the candidates for Ukraine’s presidency has both upsides and downsides, argues Anna Korbut. On the one hand, it allows them to respond flexibly to voters’ needs; on the other hand, it causes myopia and short-termism. ‘None of the candidates have offered a platform of continuity that would build on the successful post-Maidan reforms’, writes Korbut; ‘instead, voters are bombarded with the promise of quick solutions and single-handed messianism.’ Liberal platforms have yet to make a significant impact and, despite ‘inspiring and change-oriented rhetoric’, remain limited to civil society. 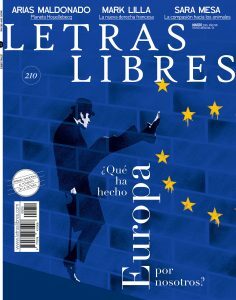 ‘The truth is, the world resembles less and less what Europe represents: a Kantian power, faced with an ever more Hobbesian international order’, writes Máriam Martínez-Bascuñán in Letras Libres, in a dossier entitled ‘What has Europe done for us?’ Europe’s ‘existential crisis’, she writes, dates from the failure to provide a ‘democratic response’ to the economic collapse of 2008, which ‘prepared the ground for chauvinism and nationalist extremism’. 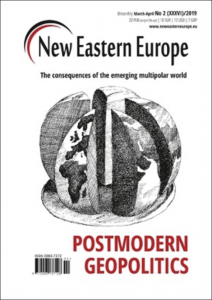 This has led to a ‘clash of civilizations’ within the EU between those who see the essence of European life as ‘openness to the world’ and ‘a continuous negotiation … despite otherness and difference’, and those typified by Hungarian Prime Minister Viktor Orbán, with his claim that ‘the challenge of the next decades is whether Europe will continue to belong to the Europeans’. The latter seek to ‘convert Europe into a fortress’, reclaiming conservative values and ideas of identity for a ‘new populist international’ that pours ‘scorn on anything with a scent of progressive humanist principles’. Faced with a new global order, the EU urgently needs to recover its ‘power of democratic persuasion’ in a world that ‘denies and threatens what it represents’. It has to ‘seriously consider if it really wants to play a role in the world, not only by expressing values (what it is), but also through its actions (what it does)’. EU elections: Javier García Toni and Álvaro Imbernón see the EU elections in May as a contest between ‘cosmopolitan globalists and nativist communitarians’. However, the latter are not uniform, and their interests are ‘neither coherent nor complementary’. All authoritarian nationalist groups reject immigration, but those in central and eastern Europe seek to keep migrants outside their own borders; those in the south demand that northern countries take responsibility for them. 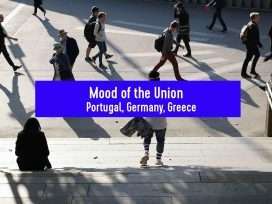 Though the ‘Europhobes’ are not a united front, they share a common strategy. ‘Their objective today is not to escape from the EU but to reformulate it. Brexit is serving as a real inoculation: having seen the … disorder involved in leaving the EU, the Europhobes will now attempt to corrode the project from within … but without unilaterally closing the door behind them.’ After the elections, the risk ‘is not so much of an illiberal Europe, as of a dysfunctional and polarized Europe’. 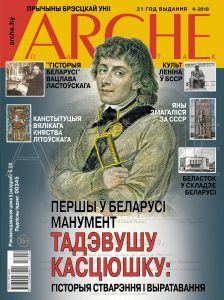 Readers familiar with Arche’s previous academic-style format may be surprised at its new illustrated look – however, they need not worry: the journal continues to provide an unparalleled wealth of primarily historical content on and around the Belarusian archipelago. Forgotten identity: In the title story, art historian Siarhej Chareŭski discusses the first monument for Tadeusz Kaściuszka (1746–1814), the major general of the Polish-Lithuanian Rzeczpospolita, and the biography of the monument’s creator. Today, the bust stands in front of the local museum of the Belarusian village of Malye Sjachnovichy. The history of the monument is archetypally Belarusian. First, because few monuments from the pre-Russia or pre-Soviet past have been preserved. Second, because the bust’s sculptor, Balbyna Svitich-Vidackaya, has been completely forgotten in her home country. This is not the case in Poland, where she emigrated after WWII and where she is honoured as a great artist. After Svitich-Vidackaya’s death in 1972, a commemorative plaque was put up at the University of Warmia and Mazury in Olsztyn (in north-eastern Poland), where her workshop had been, and a street in the town of Olsztyn named after her. But in the Belarusian town of Kobryn (in western Belarus), where Svitich-Vidackaya lived for a long time, there is no sign of her. The Kaściuszka bust was first erected in Kobryn in 1933, when the town still belonged to the Second Polish Republic. Soviet Union: Political scientist Andrey Kazakevich takes an extensive look at the role of pro-Soviet forces in the western Soviet Republics (the Baltics, Belarus, Moldova and Ukraine) between 1988 and 1991. During this period, ‘there were difficult and turbulent relationships between the Soviet Republics and the centre of the Union, and between nominal nation-states and ethnic minorities. There were also various currents in the communist party between the republican centres and the regions, between the bureaucracy and the industrial sector, between the party elite and the intelligentsia, and so on.’ Kazakevich’s conclusion: it is important to understand this area of Soviet history, ‘because events then … continue to influence the political development of these regions now’. Chinese sci-fi: Andrés Stoopendaal reviews The Three-Body Problem trilogy by Chinese sci-fi writer Liu Cixin. The new film adaptation of Liu’s novella The Wandering Earth has become the second highest grossing film in the Chinese box office of all time in just a couple of weeks. 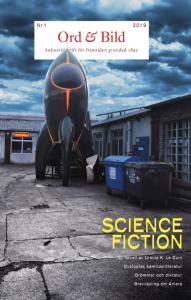 According to Stoopendaal, ‘there is an obvious link between a country’s economic resources, its technological development, and the capacity of its citizens to produce sophisticated, universally appealing sci-fi’. Sci-fi greats: Hjalmar Falk argues that J.G. Ballard’s career traced a trajectory from classical sci-fi to an ‘inner sci-fi’ focused on the human psyche. Five authors discuss the film adaption of poet and Nobel prize laureate Harry Martinson’s epic sci-fi collection Aniara (1956). And Ursula K. Le Guin’s short story ‘Firelight’, originally published in 2018, is translated into Swedish, with articles on Le Guin by translator Lena Jonsson and literary critic Anna Remmets. 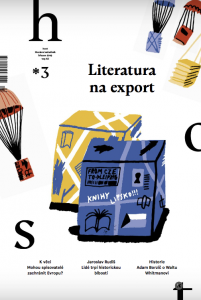 Coinciding with the Leipzig Book Festival this month, which featured Czech literature, the March issue of Host wonders whether publishing seventy new translations and bringing over a range of authors for 130 events can have a lasting impact abroad. An average of seven books per year are translated from Czech into English, Dutch, Italian, German and Slovene respectively, and as many as 25 into Polish, as shown by a series of brief interviews with translators, scholars, publishers and literary agents from Europe and the US. 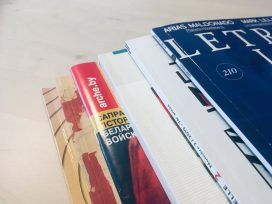 In fact, ‘Czech literature punches above its weight’, claims US translator Alex Zucker, although pointing out that books by contemporary Czech authors are mostly published by small independent presses and are rarely reviewed by prestigious literary journals. Prague irony: In Italy and, until recently, Poland, ‘Prague irony and a sense of the absurd’ is what was seen as typically Czech. This stereotype needs to be dispelled, says Christina Falkenberg, deputy director of the Czech Centre in Berlin. Nevertheless, the most popular Czech author in recent years has been Jaroslav Hašek, whose The Good Soldier Švejk, written almost a century ago, appeared in 2018 in a new translation into German. Interview: Host interviews the contemporary Czech author most popular in Germany, Jaroslav Rudiš, whose latest book, Winterbergs Letzte Reise(Winterberg’s Last Journey, 2019) was written in German. Falkenberg believes that his earlier novel, Národní třída (Nationalstrasse / The National Avenue), published in 2016, resonated with readers because it appeared just ‘when the Germans were confronted with growing xenophobia and right-wing extremism’. 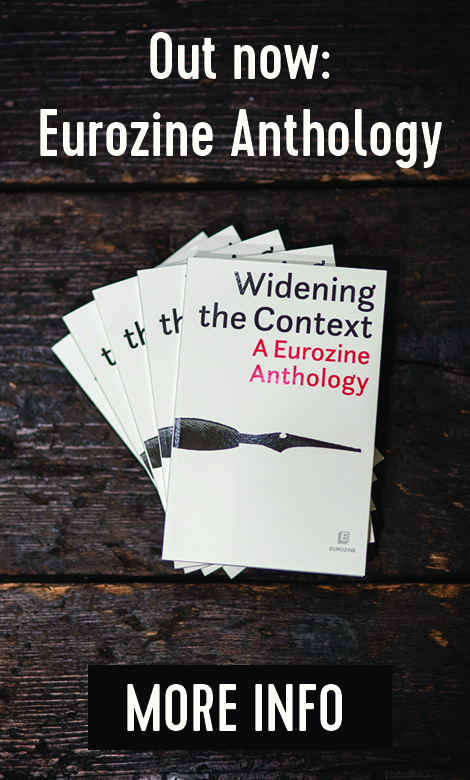 This is our 5/2019 Eurozine review. Click here to subscribe to our reviews, and you also can subscribe to our newsletter and get the bi-weekly updates about latest publications and news on partner journals.